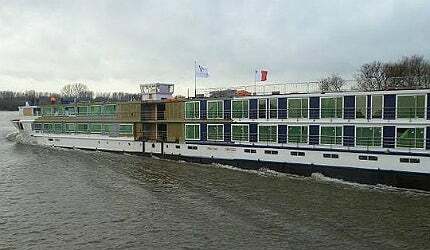 River Discovery II is a 135m long, first generation river cruise ship owned and operated by the Boston-based tour operator Vantage Deluxe World Travel. Image courtesy of Shipyard De Hoop. Vantage's new vessel is powered by two Caterpillar C32 diesel engines and two Veth rudder propellers. Image courtesy of Shipyard De Hoop. River Discovery II was launched by the Dutch ship builder Shipyard De Hoop in December 2011. Image courtesy of Shipyard De Hoop. River Discovery II is a first generation inland cruise vessel owned and operated by Vantage Deluxe World Travel (Vantage), a Boston-based tour operator. She was delivered in March 2012 and is the first in a series of four river cruise ships being manufactured by Dutch shipbuilder Shipyard De Hoop. The vessel can carry a total of 221 people, including 45 crew members. She is 135m long and has a width of 11.5m. The draught of the vessel is about 1.45m. "The vessel is classified as a ‘green ship’ because of her fuel efficient propulsion system which allows for significant emissions cuts." Vantage’s new river cruise ship is part of its $120m fleet expansion programme. The tour operator intends to achieve two-fold increase of its river cruising fleet, with this investment. 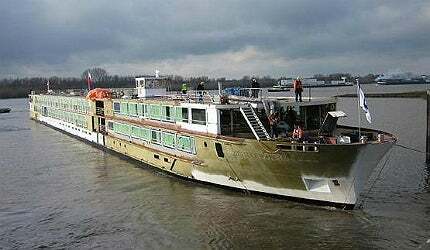 It contracted Shipyard De Hoop in March 2011 to build four new river cruise vessels. The new vessels will operate on the Yangtze, Mekong and Amazon rivers. Construction on the first vessel, River Discovery II, commenced in June 2011 by placing the first four segments on the shipyard’s slipway in Tolkamer, Netherlands. The vessel was launched in December 2011 and her initial sea trials were undertaken at the beginning of March 2012. The naming ceremony for the new ship was held in Amsterdam. Construction on the second and the third vessels has already commenced. They are anticipated to be handed over to the owner in 2013. The fourth vessel will be delivered in 2014. Vantage’s new river cruise vessel boasts a number of advanced features. The vessel is classified as a ‘green ship’ because of her fuel efficient propulsion system which allows for significant emissions cuts. "She was delivered in March 2012 and is the first in a series of four river cruise ships being manufactured by Shipyard De Hoop." The unique hull lines permit a minimum draught of 1.45m. This allows the vessel to cruise even in shallow waters. Compared to other vessels of her type, River Discovery II can attain the desired cruising speed of 12kt on lower power, saving a substantial amount of fuel. Energy savings feature includes use of light-emitting diode (LED) lighting. The ship is fitted with more than 2,500 LED lights, which consume just three watts of power. Another innovative feature is a hydraulic sliding roof which is placed at the rear of the vessel, above the bar and the conservatory. It can be fully opened and closed in less than three minutes. The vessel can carry a total of 221 people, including 45 crew members. River Discovery II offers a range of luxurious accommodations for guests. The owner’s suite, furnished in an area of more than 30 square metres, is the largest of all staterooms. It is fitted with a 40" flat screen HDTV and furnished with posturepedic mattress. Other facilities include a private bathtub, a mini-bar and an adjoining sitting area. The vessel also has 12 deluxe suites, which measure approximately 23 square metres. For solo travellers, there are eight 11.6 square metre single cabins on the vessel’s lower deck. These constitute about ten percent of all the cabins. Sauter Carbon Offset Design (SCOD) unveiled the design of its largest and most eco-friendly luxury yacht, in March 2012. More than three-quarters of the staterooms have French balconies. Free Wi-Fi access is available onboard, while US electrical outlets are provided in the cabins. The cabins also have iPod / iPhone docking stations. The vessel features an advanced dining room. Floor-to-ceiling windows allow the diners to enjoy scenic river views while enjoying their meals. Towards the stern of the vessel is a casual lounge. It features a retractable skylight roof and facilitates open-air dining and seating. Leisure and fitness facilities include a reading room, nightly entertainment and fitness room equipped with treadmill, step machine and stationary bicycle. River Discovery II is powered by two Caterpillar C32 diesel engines. The propulsion for transit is provided by two Veth rudder propellers, each rated at 745kW. Adastra is a trimaran-type superyacht built by McConaghy Boats for Hong Kong-based shipping baron Anto Marden. Oriana is the first cruise ship commissioned for P&O Cruises. Built by Meyer Werft, the vessel entered service in April 1995 as the first cruise ship designed for the British cruise market.